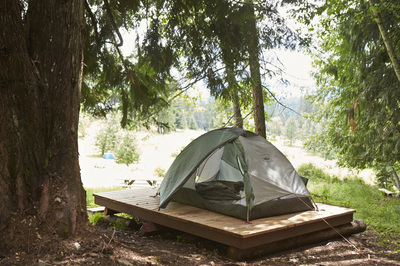 Camping and Parking - NORTHWEST YOGA FEAST! The Eureka Center: Our Sanctuary in the woods! We are fortunate to have the Eureka Institute host this event at their life-long learning center,The Eureka Center, a stunning 42 acre retreat near Sandpoint Idaho. The property is set up primarily for tent camping however we do have several locations suitable for RV/car camping without hook ups. We provide several portable bathroom facilities with hand washing stations and plenty of drinking water is always on hand. 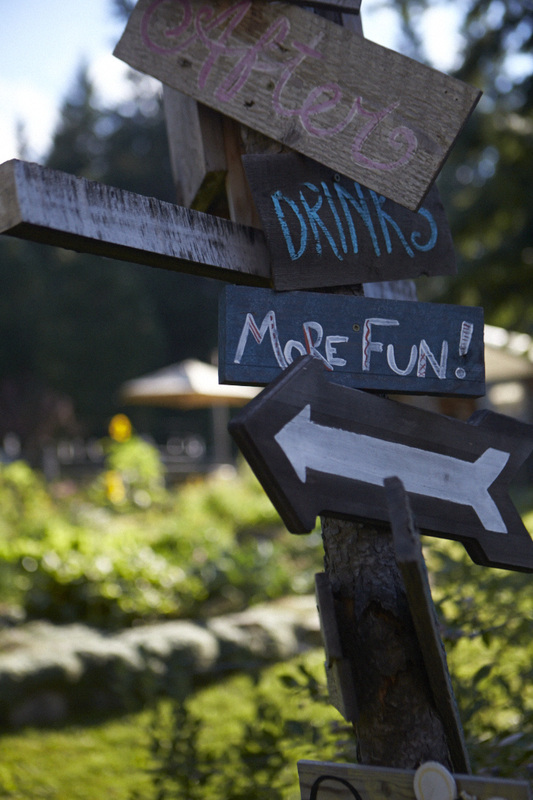 The camping areas are within a short walk to the Garden House and Main Stage. Our organic garden offers an abundance of food and allows visitors a place to sit and a enjoy the beauty of nature's bounty. Camping is included in your event fee however cook-stoves are not allowed. There is plenty of tent camping available. All of your food for the weekend is provided so no cooking will be necessary and camp stoves are not permitted due to fire danger at that time of year. Feel free to bring snacks and beverages of choice to supplement if you'd like. For groups or individuals that may be interested in one of our wall tents please contact the Eureka Institute for rates and availability. If you have an RV please contact us ahead of time so that we may reserve you a space. Hook ups are not available and generators are not allowed, so charge those batteries! 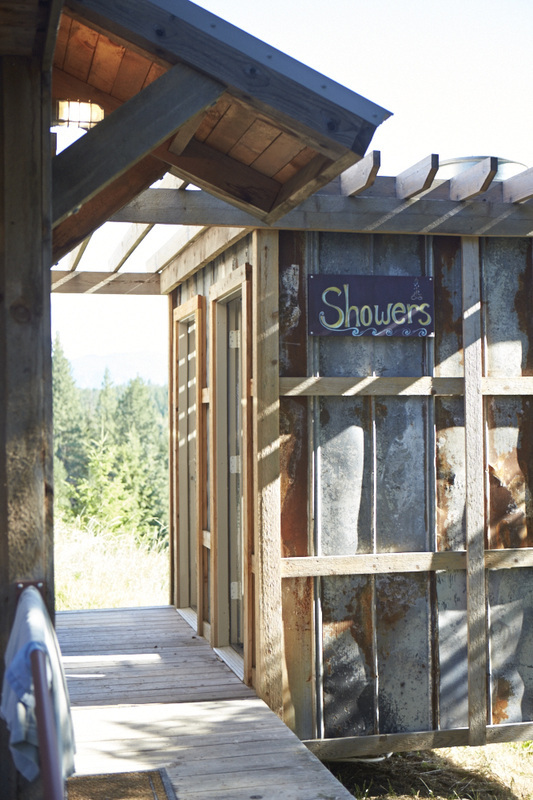 There are two exquisite outdoor showers with hot a cold running water. Water is precious so please conserve. We also have our famous "pull chain solar shower" for those that want a quick wake up! Lake Pend Orielle is only minutes away and is some of the purest waters in the Northwest. Saturday afternoon is a great time to make that run for the beach! There is plenty of parking available. You will be give a cart to transport your gear to the camp ground. Carts are limited so please make sure you return the cart to the check in area. Attempting to keep our carbon footprint to a minimum please try to carpool when possible. We are happy to help coordinate folks who are coming from the same region or along a similar route. Please contact our office and we can pass along contact information for those who are looking to carpool. If camping is not your thing we do have a couple of other options for you listed below. If you are interested in exploring the opportunity please contact our office by phone or email to confirm availability. The master bedroom of a spacious 3 bedroom home with a private bath including a beautiful soaker tub. You would be sharing the entire home with 2 other couples but would have access to the kitchen, living room as well as laundry. Price: $350 for Friday and Saturday night. This bedroom comes with a full bed, is totally private and uses a shared bath arrangement. You would also be sharing the entire home with 2 other couples but would have access to the kitchen, living room as well as laundry. Price: $225 for Friday and Saturday night. Bunkhouse: This cabin can sleep 4 in twin beds for that comfy dorm style living. Close proximity to the dining area and Garden house.